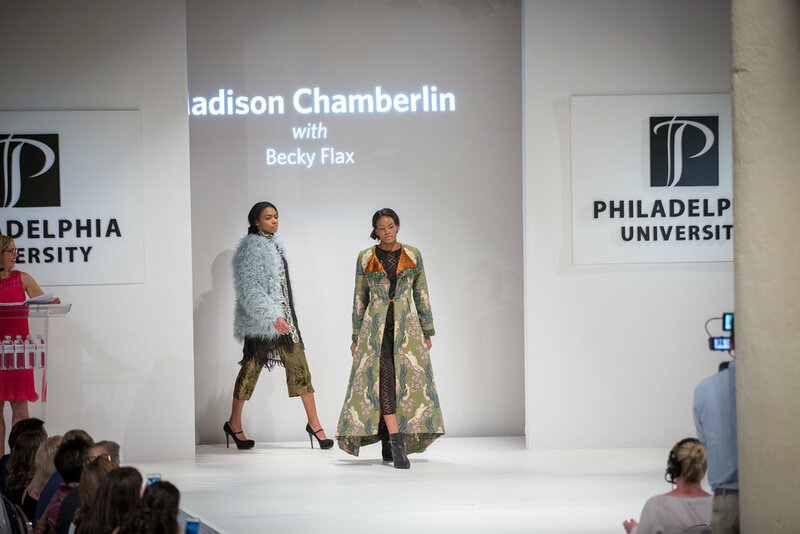 an amazing opportunity to work with talented students to see textile creations come to life. 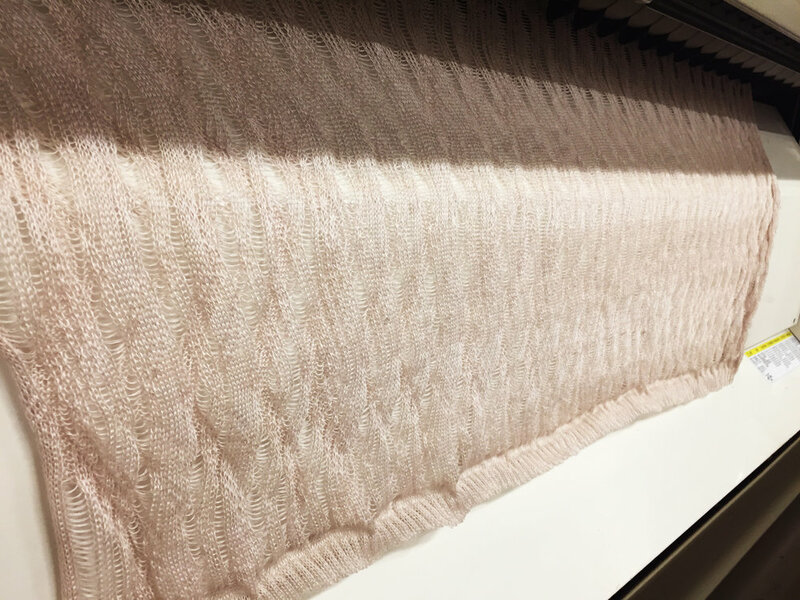 woven under tension, on our jacquard loom fitted with 30/2 mercerized, natural cotton a double ombre double cloth construction with elastomeric stuff began. 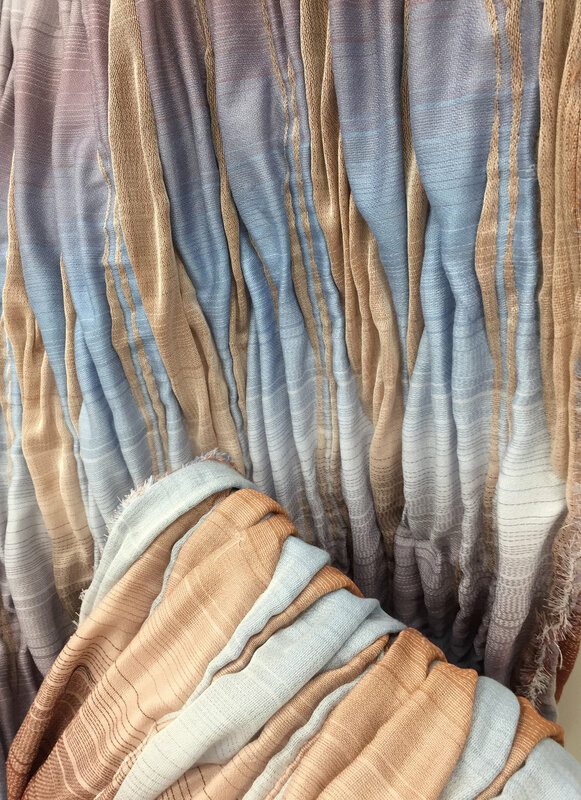 once off loom the elastomeric yarn drew in to create lovely undulations that Viv used to create dimension and movement reminiscent of rock formations. it is always an immense pleasure to work with Viv. she has an impeccable sense of color and texture. her style is outstanding and as a bonus she is a positively lovely person. i always learn so much from every collaboration we do and am able to push myself as a designer. video detail of the knit created for the collection, a links peek-a-boo with bright pops of color. this final knit (face and back shown incorporates pointelle, single and double tuck stitches a bit of links. it was positively the most fun to program! and gave a very interesting dimension to the final fabric. huyen is incredible. she is one of the fastest and most skilled creators i have met. i would delivery her textiles and by the next morning, the garment was not only complete, it was stunning! she is as excited about learning as i am and took an active interest in how i was creating the textiles and the fiber choices i made. she is brilliant. jenna is an amazing communicator, she is able to articulate exactly what she wants from a textile. working with her allows her collaborator to push themselves to meet the needs of her inspiration, without feeling unsure if the end result was exactly what she wanted. her aesthetic is smart and she dresses women of all sizes, which makes her unique and wonderful! 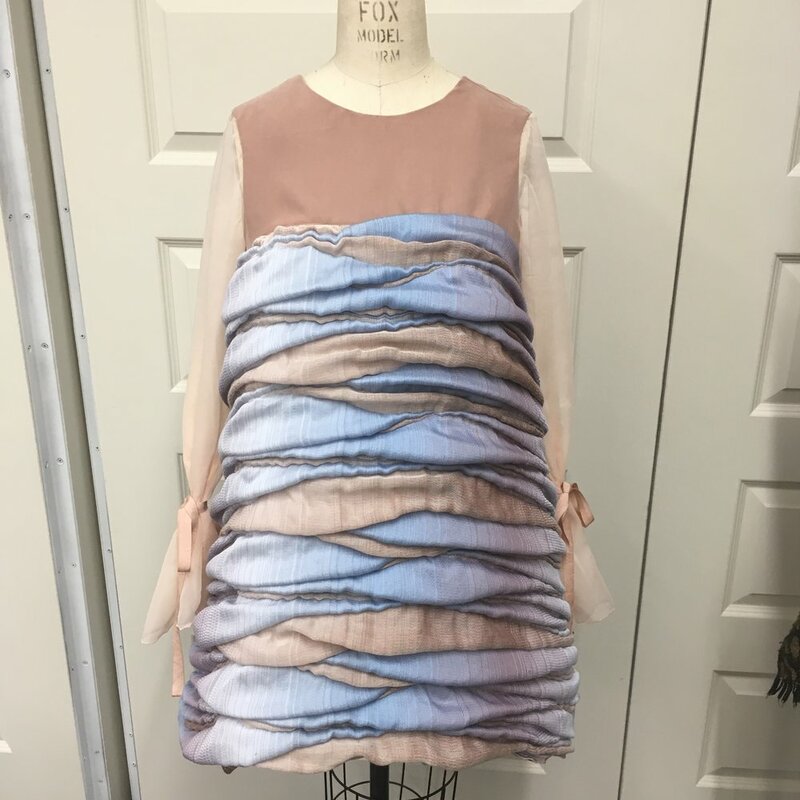 a jacquard and a knit were created for Jenna's spring collection. Sadly, the jacquard piece did not make it into the show. 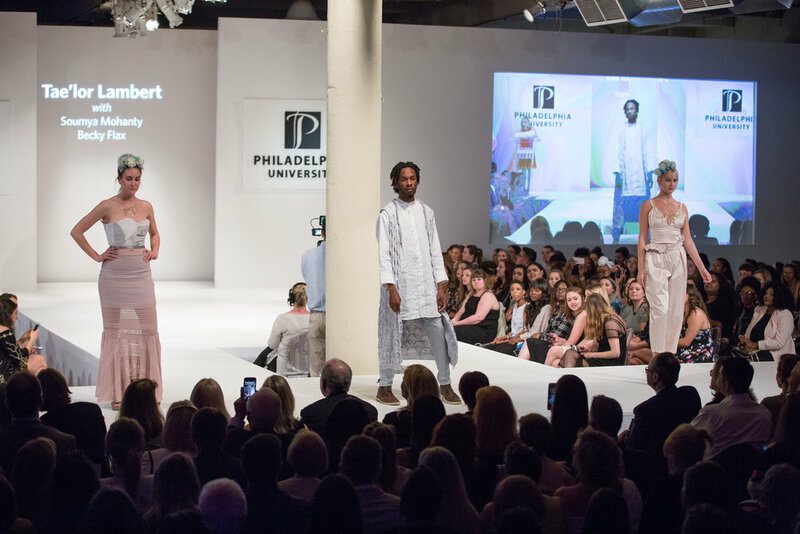 Jenna's collection was inspired by minimalist architecture. So, both structures are simple but strong. 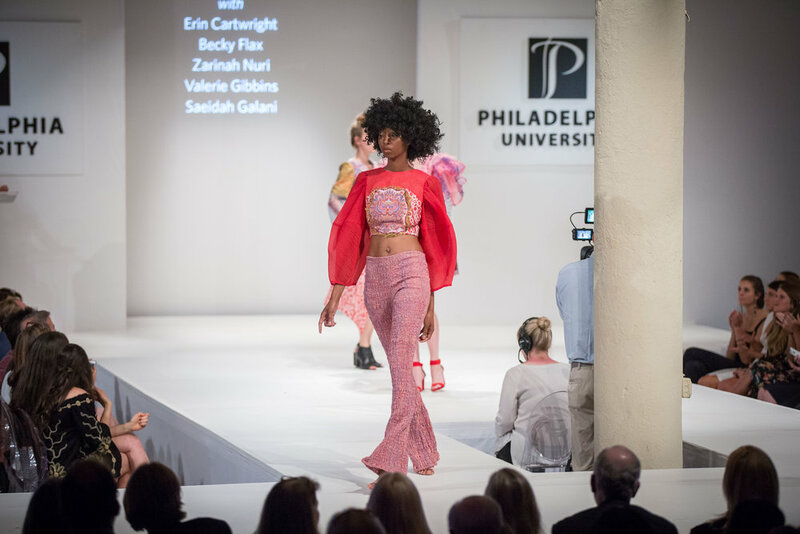 this jacquard collaboration was featured on Women's Wear Daily and won the award for Best in Show at the 2017 Philadelphia University Fashion Show. Madi was fantastic to work with. She had a definite eye for what she wanted as was not afraid to go over the top. Working with her allowed me to push myself into the more figurative imagery and the result was well worth it! on the left, the original painting that lead to the color trials on the right. Hannah was fantastic to work with. Despite set backs, she always kept a positive attitude. She was open to my ideas but pushed me to keep going beyond what I thought was doable and I will forever be grateful. this collection includes 2 knit collaborations. They can be seen on the center look and the one directly to its right. Ashlee has an incredible eye for sports wear. She knows her fibers and was able to communicate clearly what she was looking for. It was a pleasure working with her. 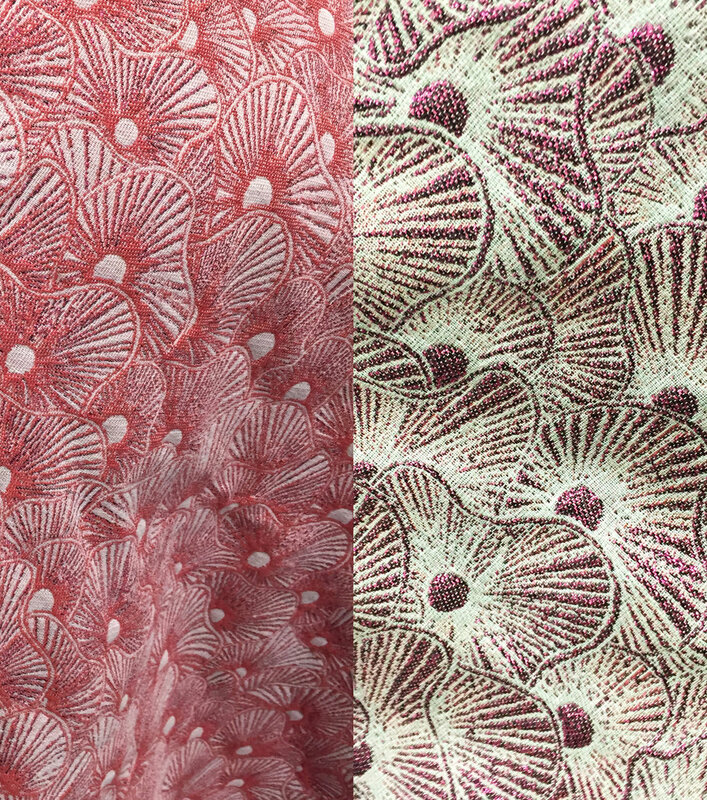 I collaborated on 2 jacquard fabrics in Micah's collection. The design was the same for both, but one was able to be used for dyesub printing and the other was already color set. the center embellishment on the top of this piece is dye sublimation printed on jacquard fabric with differential substantivity. these pants are the jacquard fabric with contrasting colors as opposed to contrasting substantivity. Micah is brilliant with an amazing fashion eye. 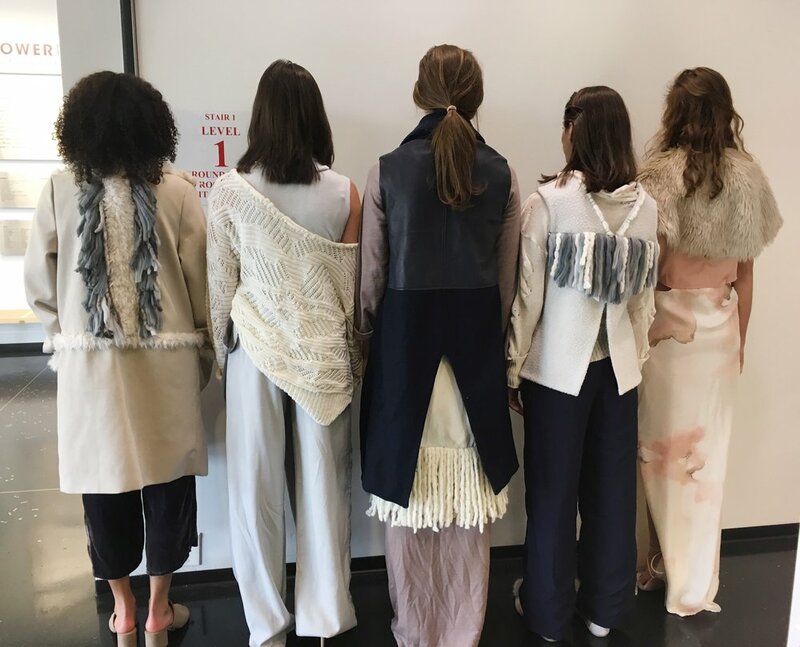 She was able to make a collection come together from an incredible number of materials and fibers. She was always excited and motivated to do great work. It was truly an honor to work with her. 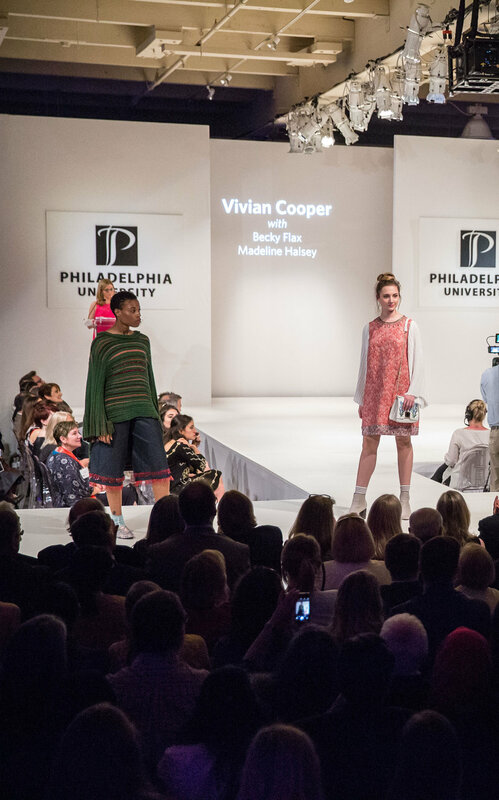 this knit design collaboration with Taelor won the XIIX Collaboration Award for best collaborative collection. above you can see the blue, violet and grey color mixing that give this pocketed piece extra depth. and to the right you can see how as the piece grows, so do the size of the pockets. It was so exciting to work with Taélor because she brought an energy to our collaboration. She was open t so many different types of knits and let me play to make her a one of a kind piece.